She’s my girl! You either love her or hate her! Guess which one… She did a great job and boy do her fans love her! Did you miss the Silver Fox in the City’s modeling debut on the TODAY show, earlier this month? Well, now you can see it here. Thank you for the shout out Ann Curry. I will miss my new BFF. Give me a good book signing and I’m there! For those of you who don’t know me, I’m forever running to get a signed book. 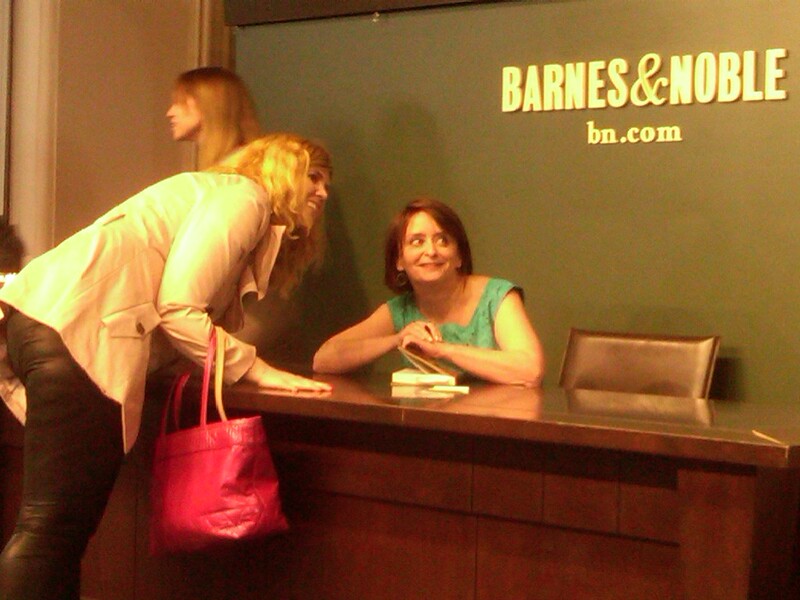 Not to be a “Debbie Downer” but at Rachel Dratch’s event I didn’t buy her book therefore no signing for me. I love Rachel and all her characters, but breast pumping and single white females in bars is just not my cup of tea. Jeffrey sure knows how to pick ’em. His annual fund raiser here in NYC has the fashion crowd roaring. They come to see his all male runway show which features the latest in designer men’s Spring fashion. The Blondes came out and were all so friendly. Kate Upton – Gorgeous Model Mania! Chloe Sevigny – Bowie fan and Actress Indie! Not a Blonde (yet?!) – Ivan Bart – the genius behind IMG models. Thank you Ivan for all the introductions and a great evening of fun and helping many wonderful causes thru Jeffrey Fashion Cares. Diane and Alexandra Von Furstenberg were at arm’s length to me at the opening party for my friends Louis and Alison’s amazing and zany new store MAISON 24 in NYC. This store is filled with a great mix of trendsetting items which makes for a fun and very unique shopping experience. Everything you touch and feel makes you smile. The world of home furnishings and gift items are exploding with color, wit and charm. Lucite and Lacquer is being poured all over the store. I couldn’t get enough! I love that the gorgeous Alexandra is looking at me and not the professional photographer taking her picture. She designs the line of Lucite that I’m in love with. 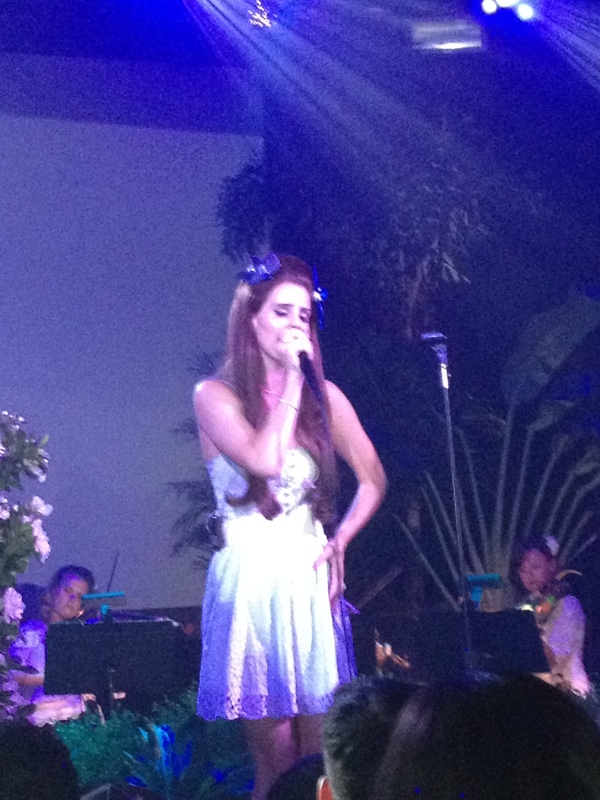 Let’s just call her Lady Lucite! That is what I literally did at The B-52’s last concert in New York City at Irving Plaza. I was standing at about the 3rd row when the woman next to me pointed out the guitar pick on the floor. 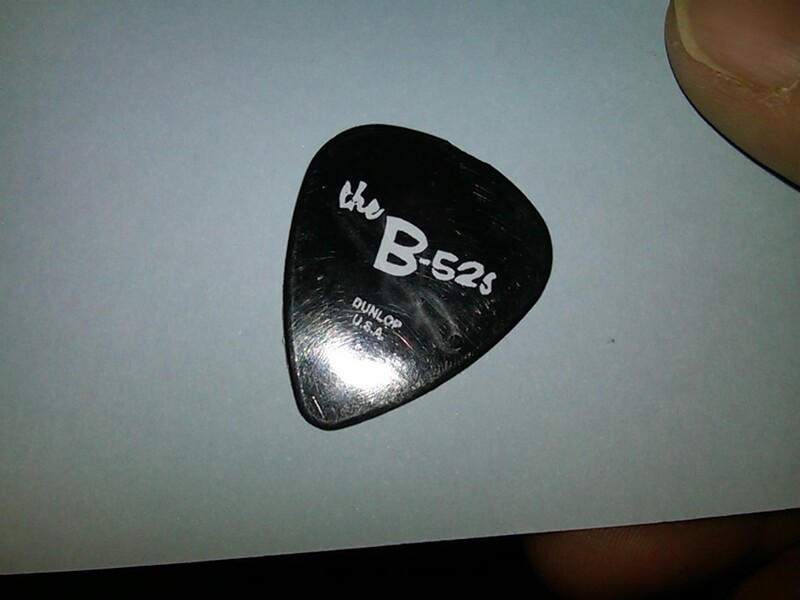 I bent down and grabbed my first official concert pick. Keith Strickland is the original guitarist and is responsible for making The B’s tick. I love the original vintage-looking logo printed on it. This party is out of bounds! Maybe next time Keith Richards. . . I will keep dreaming. . .
Marilyn, Liz, Twiggy, Jean, Kate = Bert Stern. His girls go by one name only! The swinging 60’s come to mind when you hear some of these names. Vogue 1968…. This is when Bert Stern was at his peak. This photo exhibit at The Staley Wise Gallery in Soho is worth checking out. The photos are large and oversized. Very crisp, clean and shiny! Crystal Applique was the process he used to highlight many of his original photos from this time period. If you need a smile and feel like swinging with these girls then get all “DOLLED UP” and put on some jewels.